Why are American cities, suburbs, and towns so distinct? Compared to European cities, those in the United States are characterized by lower densities and greater distances; neat, geometric layouts; an abundance of green space; a greater level of social segregation reflected in space; and—perhaps most noticeably—a greater share of individual, single-family detached housing. 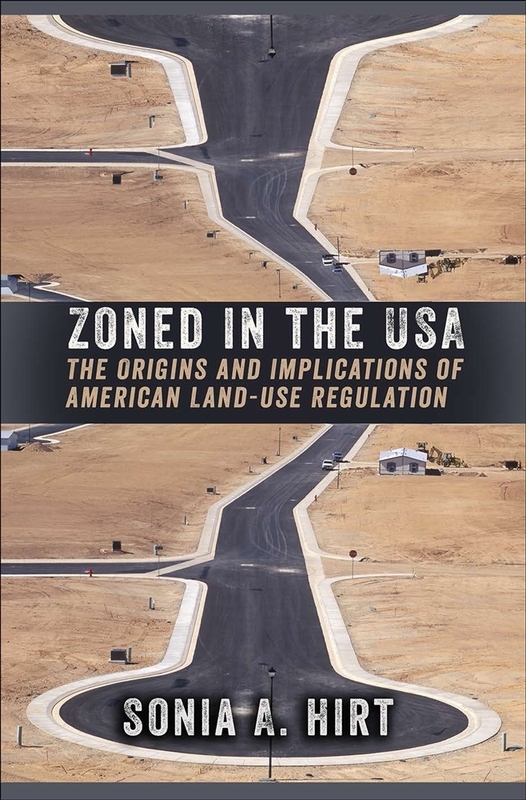 In Zoned in the USA, Sonia A. Hirt argues that zoning laws are among the important but understudied reasons for the cross-continental differences. Hirt shows that rather than being imported from Europe, U.S. municipal zoning law was in fact an institution that quickly developed its own, distinctly American profile. A distinct spatial culture of individualism—founded on an ideal of separate, single-family residences apart from the dirt and turmoil of industrial and agricultural production—has driven much of municipal regulation, defined land-use, and, ultimately, shaped American life. Hirt explores municipal zoning from a comparative and international perspective, drawing on archival resources and contemporary land-use laws from England, Germany, France, Australia, Russia, Canada, and Japan to challenge assumptions about American cities and the laws that guide them.